I played the first game to bits, never got around to getting 2, and just got a PC capable of playing 3. I'm excited as hell to be immersed in the driving again but had a couple of questions. Question #1: How has the series progressed? I know the main thing about racing games is more and more cars, bigger worlds, and more customization but how is it all handled? Do you regularly get new cars? 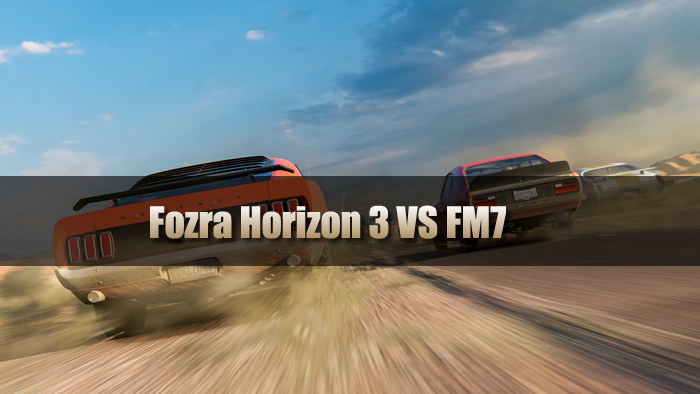 Answer: In Fozra Horizon 3 they are constantly throwing free cars at you. There's Forzathon, which are fairly easy weekly challenges to win cars, XP, or credits. Every time you level up, which only requires a few races, you can win credits or a car. You can also sell cars you don't want to other players via the auction house. Question #2: Is there a lot of grinding to earn credits to buy more and more cars and their upgrades? I don't want to have to decide between a Lamborghini or Ferrari when I could get both. I don't expect to be handed them to me, just don't want to have to do 1000 races to get one. Answer: There are some odd things that might need explaining, maybe these were in the previous games, I did not play those. Levels are a measure of how much you have played the game. They don't represent power, how good you are at the game, or anything else. It's just a number. Question #3: How is the music like in FH3? With FH1, I used to come home, turn up the volume on my tv real high and then just cruise around the world listening to the two non-rock stations. Even now I still listen to the songs on Spotify. My friend is playing FH2 on the Xbox One right now and says the music isn't as great as FH1's. Personal preference but still. Answer: In the menus, you'll see something called a "hero" which takes you to the car list. For some reason, they decided to call cars heroes, but only in certain parts of the menu. They are never called heroes in the game, and other parts of the menu call them cars. I don't know if it's a curated list but I never noticed a difference. As for FM7, similar situation but the only FM I've played extensively was 2 when I first got my 360 and then a little bit of 4. Is there a lot of grinding to unlock cars? I remember when it had first come out, there was a lot of controversy surrounding it (could have been FM6) regarding the grind.